Occupying a restored early 20th century building in Salt Lake Citys central business district, this modernized business centre offers executive suites and excellent business facilities, as well as secure car parking and round-the-clock access. The regional transportation services available in the locality are also fantastic and provide numerous convenient services throughout the area, making the site easily accessible. 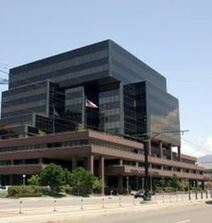 For luxury and contemporary elegance, choose these offices now available to lease in Salt Lake City’s prominent centre. These penthouse suites provide breathtaking views of the Valley and Wasatch Mountains, and a full range of modern technology for added convenience. The world class hotels, restaurants and entertainment venues of the surrounding area are easily accessible. With the TRAX light rail station two blocks away the Salt Lake International Airport can be reached in 15 minutes. This flexible office space has panoramic views of Salt Lake Valley and the surrounding area while the talent pool of the University of Utah is just a couple of miles away. Further to all of this the surrounding area is full of great amenities such as world-class retail shops and restaurants, as well as banks, hotels, cafes and many more. 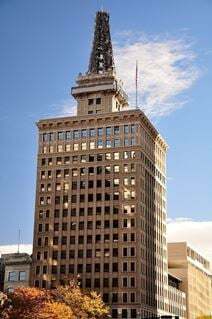 This is a high-quality business centre set on the fifth floor of this prominent Salt Lake City building, which is strikingly clad in granite and boasts a stunning lobby. Our offices benefit from huge windows and breathtaking views of the mountains. Within walking distance of banks, governments, and other local amenities. Excellent transport links abound. The site is easily accessible due to the area's fantastic transport links. Set in Salt Lake City’s most tasteful and spacious business centre, these beautiful executive suites benefit from an abundance of natural daylight, and sleek equipment and technology for unrivalled convenience. Clients receive personalized attention from trained support staff. These prestigious offices have easy access to the freeway, and are within walking distance of the wide range of local amenities on offer. This center in Salt Lake City is a high-end, concierge-focused collaborative office workspace serving individuals and organizations of all sizes. From the on-site management team, to the member-centric B2B partnerships and exclusive car rental platform, it is dedicated to delivering a full ecosystem of products and services to its members that declutter their lives and enable them to focus intently on what matters most to them. As one of Salt Lake City’s premier business centres located in the CBD, clients can take advantage now of these beautifully-appointed executive suites. Offices feature flexible lease packages, and clients are able to choose from an impressive selection of layouts and sizes to suit their needs. These suites are available furnished or unfurnished, and provide state of the art technology. Trax Station, Salt Lake City Airport and fine dining are just minutes’ away. Modern, sophisticated and tailored to suit individual client needs, these are Salt Lake City’s most prestigious Class A executive suites. Cutting edge technology, personalized catering and a fitness centre are complimentary. Clients also get fantastic views of the Valley and striking mountains. All the amenities of the surrounding area are only moments away and provide all occupying tenants with a variety of services. This incredible office offers multiple different spaces for rent. This location offers companies with 24 hour access to the building, ensuring that business can be conducted at any time. Located in the heart of the downtown Salt Lake City area, this space is surrounded with incredible views and a vibrant atmosphere. This serviced office space comes fully furnished with a long list of amenities, setting itself apart from the competition. Featuring absolutely stunning views of the Salt Lake Valley, these elite Class A executive suites contain only the best technology and latest equipment, and are fully serviced to promote a superior work environment. Onsite catering, conference facilities and support staff are just a few of the benefits on offer. The location is unbeatable in the middle of downtown Salt Lake City, just steps from TRAX and the luxuries of the surrounding area. With stunning views of the valley and the Wasatch mountains, this commercially significant and locally renowned business center location is set within some of the area's most beautiful and idyllic garden areas in a newly constructed LEED Silver Certified building. All available offices are fully furnished with exquisite and luxurious interiors, while there are showers and ample provision for secure parking on-site. 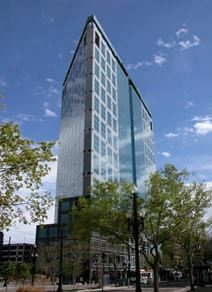 With stunning valley and mountain views as well as beautiful gardens this exquisitely furnished and highly professional business center location is within a newly constructed LEED Silver certified building just 15 minutes from the thriving downtown area and the region's major international airport. There are two day offices, 15 tenant offices and two conference rooms available for client use on a regular basis as standard. 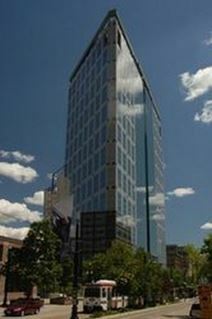 Take advantage now of this unique opportunity to be based in elite Chase Towers, Salt Lake City’s most renowned business development. These tasteful executive suites are fully equipped with sophisticated furniture and cutting edge technology. Clients also benefit from personalized attention from professional onsite support staff. The location is perfect for anything and everything clients require, including quick transport links to the greater Salt Lake City area, easy access to TRAX, fine dining, five star hotels and Salt Lake City International Airport. With panoramic views of Salt Lake City and the mountains, this range of stunning executive suites come as part of an individually-tailored package to suit individual client requirements. Clients benefit from fully serviced areas, onsite security, complimentary parking, fitness centre and restaurants. The I-215, I-15 and I-80 are in close proximity for unparalleled access to the surrounding area.